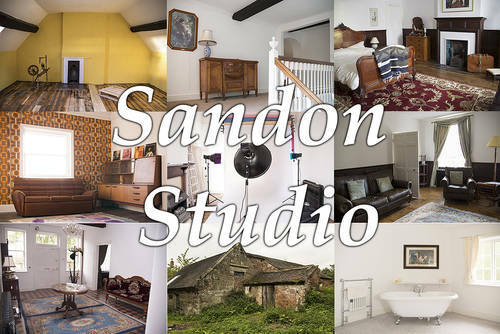 Sandon Studio is a dream location for photographers and models (the home studio of Lizzie Bayliss, model and photographer). 1970's 'Abigail's Party' (after the Mike Leigh play) - bright wallpaper, sofa, 1970's sideboard, fur rug and 1970's record sleeves. Arabian Nights : lots of floaty curtains/sashes, exotic style daybed/table and a carved mangowood screen. The cellar: dark, spooky, and medieval! Lights needed. The attic bedrooms (natural light from above) : a grungey bed, as well as a spinning whee and other props. Girly dressing room: Pink feminine wallpaper, white metal day bed with pastel tone cushions, satinwood dressing table and feminine props. There are three staircases, wide hallways, and some ceilings are twelve feet six inches high. There is also a derelict coach house and stable block. The rear garden is 1.2 acres, and completely private. Three 180w small fill-in lights, also great for use with natural light. Bowens fit 20cm long reflector, with silver interior and removable grid. Two Bowens fit strip boxes with removable grids. One Bowens fit small square soft box with grid. One 1m square Bowens fit soft box with grid. Universal white, black and silver umbrellas. Bowens fit snoot with removable grid. There are radio triggers which means the lights are all compatible. The lights will also work with infra-red triggers. There are three vinyl backdrops: in black, mid grey, and white and three paper backdrops in carnation pink, ceramic blue, and beige. There is also a portable backdrop stand which can be used to suspend material/ curtains etc. For six - twenty people: £70 an hour, £240 half day, £400 full day.  Group of six or more will have full and exclusive use of the whole site. Please note that this is a HUGE venue, having over twenty rooms and a very large private garden, so it is capable of hosting two or three different photoshoots simultaneously without any need for sharing. Payment: Payment should be by bank transfer at the time of booking, or by cash on arrival. Parking: Please park at the rear of the house, taking care not to obstruct others, then enter the house through the front door. Chaperones: Chaperones, MUST remain with the shoot at all times, or wait in their car in the parking area. Chaperones must not be left alone to wander around the site unsupervised. Shoes: Please leave outdoor shoes in the front hall, and change into indoor shoes. Models are asked not to stand on furniture or beds in high heels. Furniture: Please take care not to place hot/wet cups on French-polished furniture. Please replace any furniture or other items you move during your shoot. Towels: If using any of the bathrooms, please bring your own towels. If oil is used in the bath or shower, it MUST be cleaned off afterwards so the the area is safe for the next user. Lights: If you need to use studio lights, please specify when booking. Catering: There is a small kitchenette off the studio which can be used for self-catering. It has a kettle, microwave oven, and tea/coffee/sugar/milk powder is provided. Please wash up when you have finished. If you wish to have a buffet lunch provided, this may be possible, given enough notice, but please note that there is an excellent pub ?? The Dog and Doublet ?? only 100 yards from the house which serves first-class food. There is also a village shop close by which sells hot snacks. Nudes outside: If shooting nudes outside, please be careful not to shoot on the part of the back driveway which is visible from the road. It is best to shoot outdoor nudes in the rear garden, which is completely private, or in any part of the buildings. Bookings from those shooting 'adult' work are also welcome.